'The Good Morrow' by John Donne. 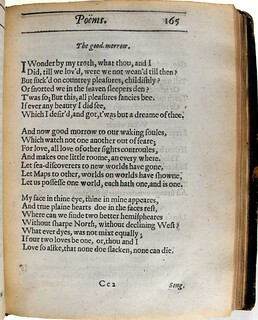 John Donne: Poems. [London: M.F., 1633.] Sp Coll Monro 21.